What is the cheapest way to get from Chippenham to Moreton-in-Marsh? 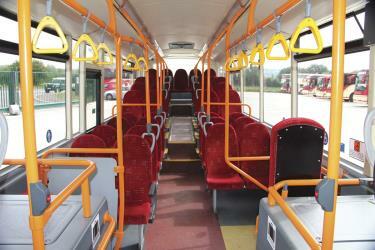 The cheapest way to get from Chippenham to Moreton-in-Marsh is to drive which costs £7 - £11 and takes 59m. 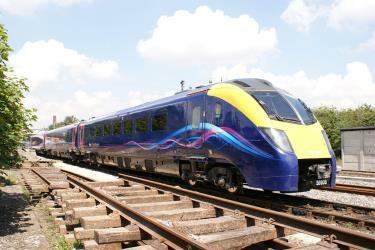 What is the fastest way to get from Chippenham to Moreton-in-Marsh? 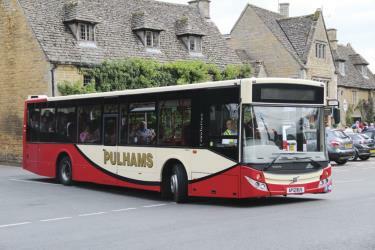 The quickest way to get from Chippenham to Moreton-in-Marsh is to taxi which costs £100 - £130 and takes 59m. Is there a direct train between Chippenham and Moreton-in-Marsh? No, there is no direct train from Chippenham to Moreton-in-Marsh. 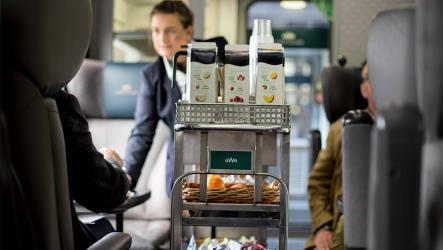 However, there are services departing from Chippenham and arriving at Moreton-in-Marsh via Didcot Parkway and Oxford. The journey, including transfers, takes approximately 2h 15m. How far is it from Chippenham to Moreton-in-Marsh? The distance between Chippenham and Moreton-in-Marsh is 41 miles. The road distance is 46.4 miles. How do I travel from Chippenham to Moreton-in-Marsh without a car? The best way to get from Chippenham to Moreton-in-Marsh without a car is to train which takes 2h 15m and costs £30 - £60. How long does it take to get from Chippenham to Moreton-in-Marsh? 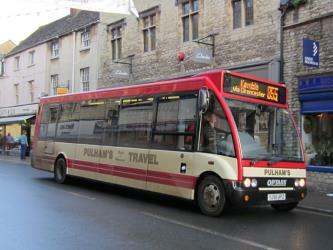 It takes approximately 2h 15m to get from Chippenham to Moreton-in-Marsh, including transfers. Where do I catch the Chippenham to Moreton-in-Marsh train from? Chippenham to Moreton-in-Marsh train services, operated by Great Western Railway, depart from Chippenham station. 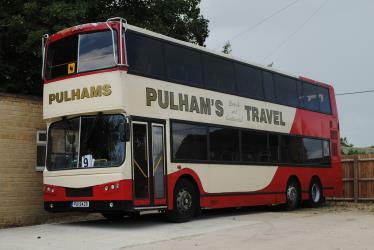 Train or bus from Chippenham to Moreton-in-Marsh? The best way to get from Chippenham to Moreton-in-Marsh is to train which takes 2h 15m and costs £30 - £60. Alternatively, you can line 51 bus and bus, which costs £12 - £22 and takes 4h 3m. Where does the Chippenham to Moreton-in-Marsh train arrive? Chippenham to Moreton-in-Marsh train services, operated by Great Western Railway, arrive at Moreton-in-Marsh station. Can I drive from Chippenham to Moreton-in-Marsh? Yes, the driving distance between Chippenham to Moreton-in-Marsh is 46 miles. It takes approximately 59m to drive from Chippenham to Moreton-in-Marsh. What companies run services between Chippenham, Wiltshire, England and Moreton-in-Marsh, England? 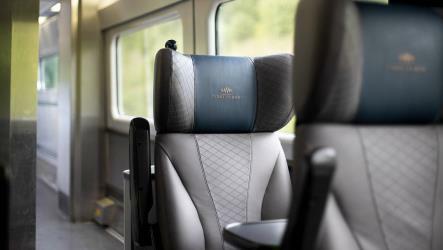 You can take a train from Chippenham to Moreton-in-Marsh via Didcot Parkway and Oxford in around 2h 15m. Alternatively, you can take a bus from Chippenham to Moreton-in-Marsh via Swindon, Swindon, Bus Station, and Cirencester, The Forum in around 4h 3m. How do I get a train ticket from Chippenham to Moreton-in-Marsh? 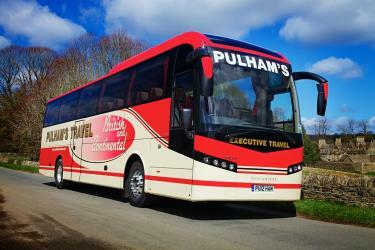 Book your Chippenham to Moreton-in-Marsh train tickets online with Rome2rio. Where can I stay near Moreton-in-Marsh? There are 804+ hotels available in Moreton-in-Marsh. Prices start at £75 per night. Discover how to get to attractions and hotels near Moreton-in-Marsh. Batsford Arboretum is a 55 acre arboretum and botanical garden near Batsford in Gloucestershire, England, about 1½ miles north-west of Moreton-in-Marsh. It is owned and run by the Batsford Foundation, a registered charity, and is open to the public daily throughout most of the year. The Rollright Stones is a complex of three Neolithic and Bronze Age megalithic monuments near the village of Long Compton, on the borders of Oxfordshire and Warwickshire. Constructed from local oolitic limestone, the three monuments now known as the King's Men and the Whispering Knights in Oxfordshire and the King Stone in Warwickshire, are distinct in their design and purpose, and were built at different periods in late prehistory. The stretch of time during which the three monuments were erected bears witness to a continuous tradition of ritual behaviour on sacred ground, from the 4th to the 2nd millennium BCE. Hidcote Manor Garden is a garden in the United Kingdom, located at the village of Hidcote Bartrim, near Chipping Campden, Gloucestershire. It is one of the best-known and most influential Arts and Crafts gardens in Britain, with its linked "rooms" of hedges, rare trees, shrubs and herbaceous borders. Created by Lawrence Johnston, it is owned by the National Trust and is open to the public. Rome2rio makes travelling from Chippenham to Moreton-in-Marsh easy. Rome2rio is a door-to-door travel information and booking engine, helping you get to and from any location in the world. 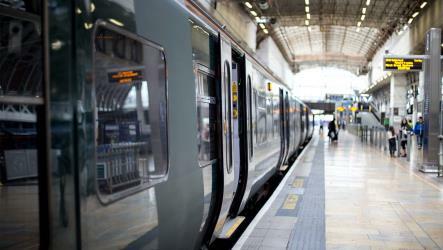 Find all the transport options for your trip from Chippenham to Moreton-in-Marsh right here. Rome2rio displays up to date schedules, route maps, journey times and estimated fares from relevant transport operators, ensuring you can make an informed decision about which option will suit you best. Rome2rio also offers online bookings for selected operators, making reservations easy and straightforward.